The other day I had enough of digging through the bow box to find a matching pair....so I succumbed to the ever popular bow/clip holder. I decided to go from the inspiration of this card holder and used the same font from the canvas I made a couple months ago. 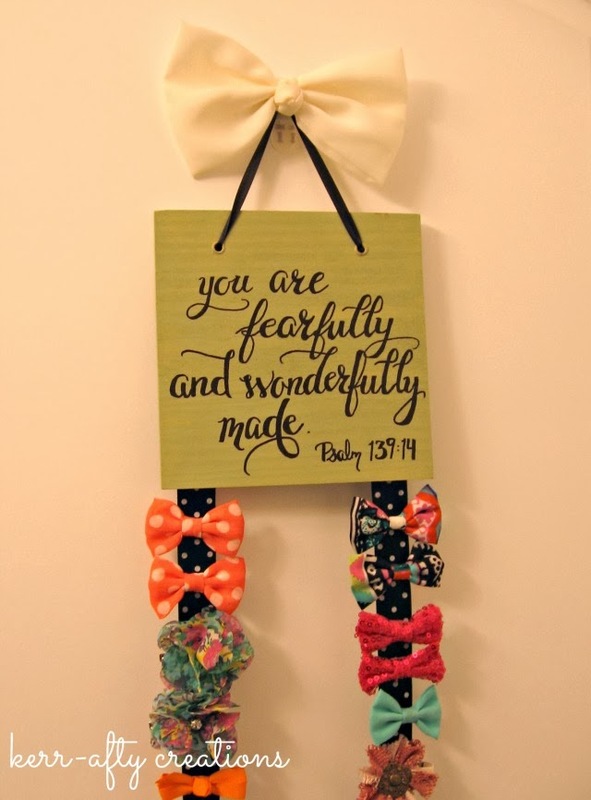 I figured that Psalms 139:14 was a fitting scripture. 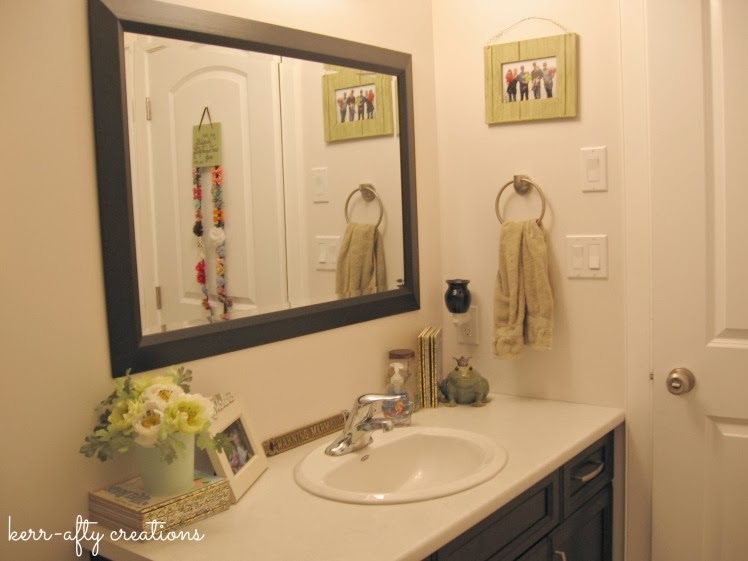 It has been a lot easier to grab a clip and the holder adds a pop of color to the girls bathroom. 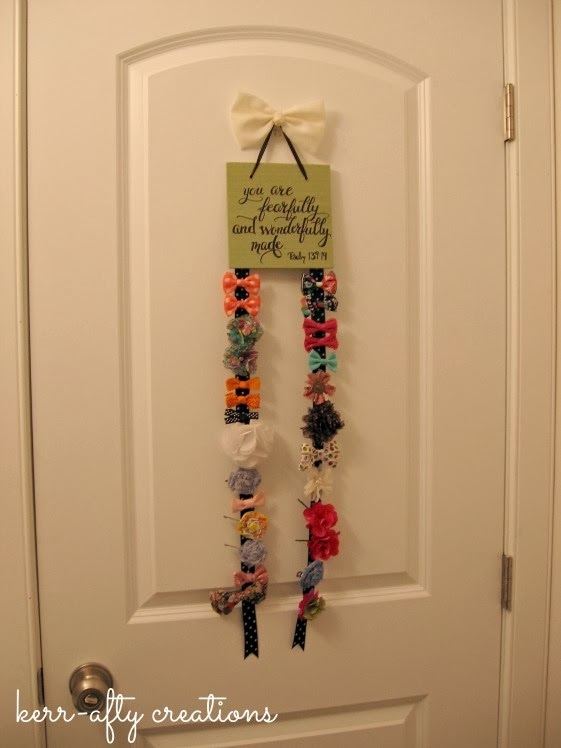 This bow holder is a fantastic idea. I love the scripture you chose. I still love using the cup cozy!!! !